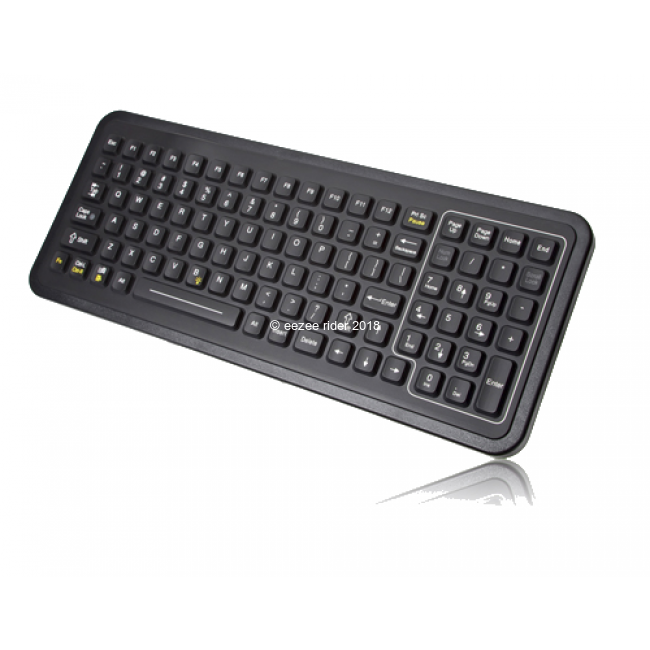 The SB-101 is one of the thinnest keyboards to date with a depth less than half an inch. Featuring a QuickLock™ key, the SB-101 can be disabled quickly to avoid unwanted keystrokes during the cleaning and disinfection process. Built for versatility, the SB-101 features individually lit red LED backlit keys for nighttime or ambient light use and comes in a fully-sealed polycarbonate case with rubber keypad. The SB-101's ultra-thin design and cleaning capabilities make it an ideal solution for use in small spaces, vehicles, forklifts, and rackdrawers. Optional magnetic mounting is available.